The UN Special Rapporteur on Human Rights Defenders requested IWDA’s input on the status of Women Human Rights Defenders (WHRDs). IWDA works with WHRDs across Asia and the Pacific through our various partner organisations and advocacy networks. WHRDs can be defined as women, in all their diversity, engaged in human rights defence including sexual and reproductive rights, women’s political and economic empowerment, land rights and labour rights. Women Human Rights Defenders (WHRDs) are women, including trans and non-binary people, who advocate for human rights. Environmental rights, including the protection of water systems, forests or natural resources. Why do WHRDs need to be protected? Human rights activists of all genders often do dangerous work. Male activists are often labelled as ‘unpatriotic’ or ‘troublesome,’ while women working in the same area are often attacked on a personal level, such as being called a bad mother, a bad wife or even a bad woman. WHRDs receive threats of sexualised violence, are victims of sexual harassment and have reported receiving anonymous threats against their children. WHRDs go against their traditional roles, and this makes some people angry or uncomfortable. How does IWDA work with WHRDs, and why is protection important? IWDA works with WHRDs in Asia and the Pacific to promote women’s rights and gender equality for all. 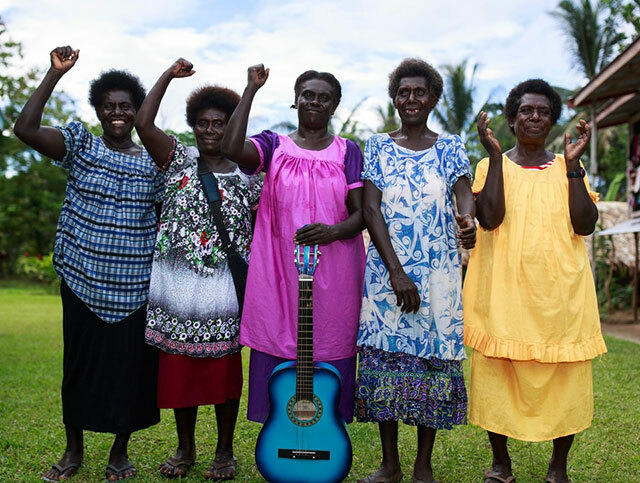 For example, our partner Nazareth Centre for Change (NfRC) in Bougainville works to end gender based violence. NfRC provides emergency services for women experiencing violence, as well as trainings to educate their communities about gender-based violence. Unfortunately, the women who work for NfRC often experience backlash: 34% reported that men in their communities have tried to stop their work; 42% reported being challenged in public because of their work; and 16% have had someone threaten to hurt them, all because of their work as WHRDs. This is just one example of why supporting and protecting WHRDs is so important.